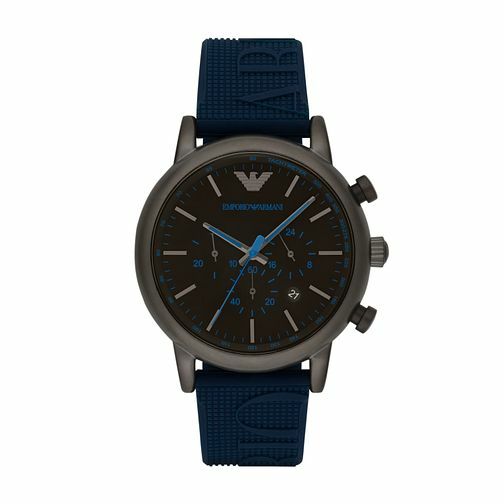 This elegant timepiece by Emporio Armani is the perfect choice for the modern man. Features an ion plated case, chronograph dial with three sub dials, blue accents and matching rubber strap. Team sophistication with high fashion and the result is Emporio Armani's beautiful watch collection.